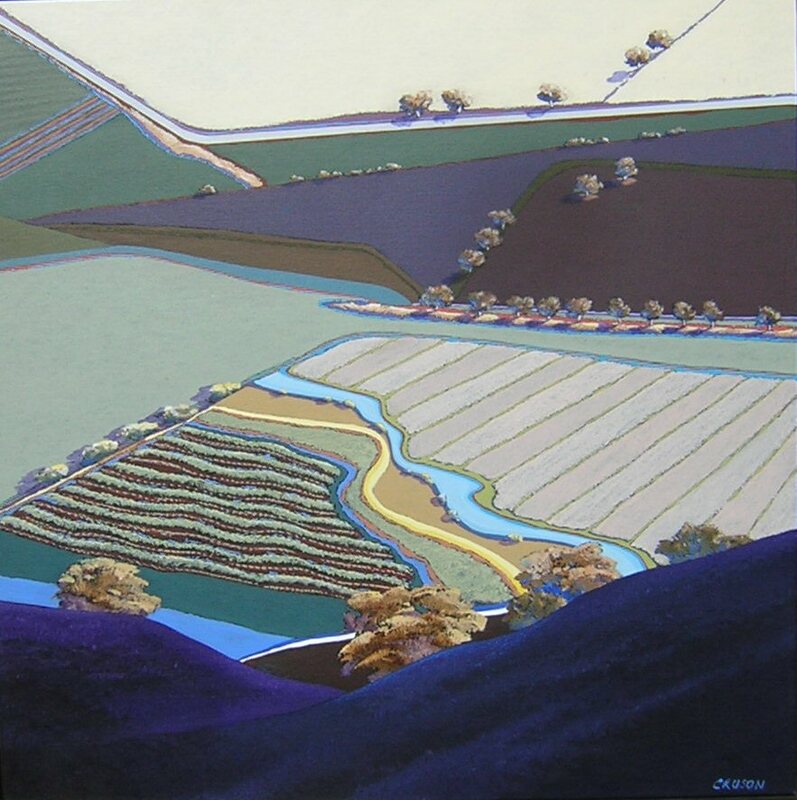 Welcome to the Rental Sales Gallery Blog. We’re excited to have this new platform. The RSG has a huge inventory, and we want to share it! Not only will we be sharing art, but we will also be going behind the scenes to visit artists in their studios. 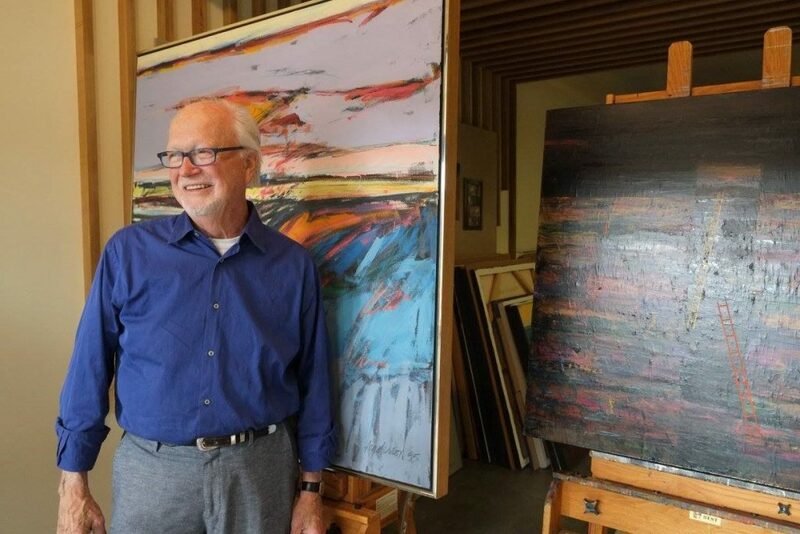 Gary Anderson in his studio, Seattle, WA. 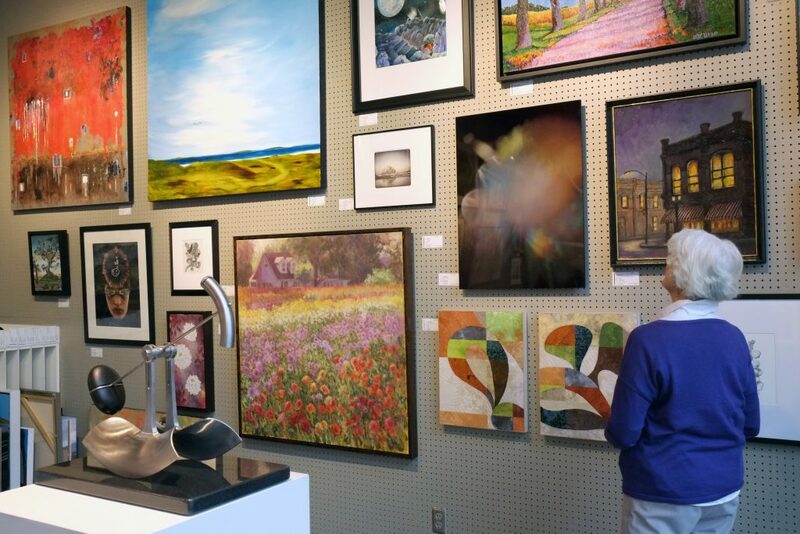 The RSG is home to 240 local artists (and growing!). This blog will feature artist interviews, demos, studios and works in progress. 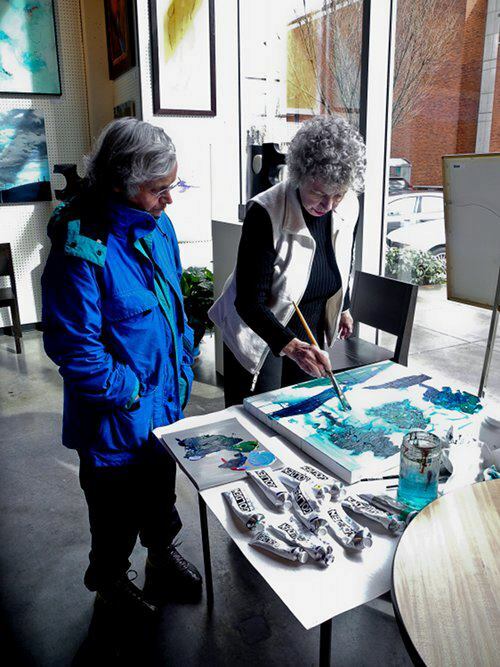 Artists Janet Holt and Sidonie Caron giving a demo in the gallery. The RSG also knows how to throw a good party! 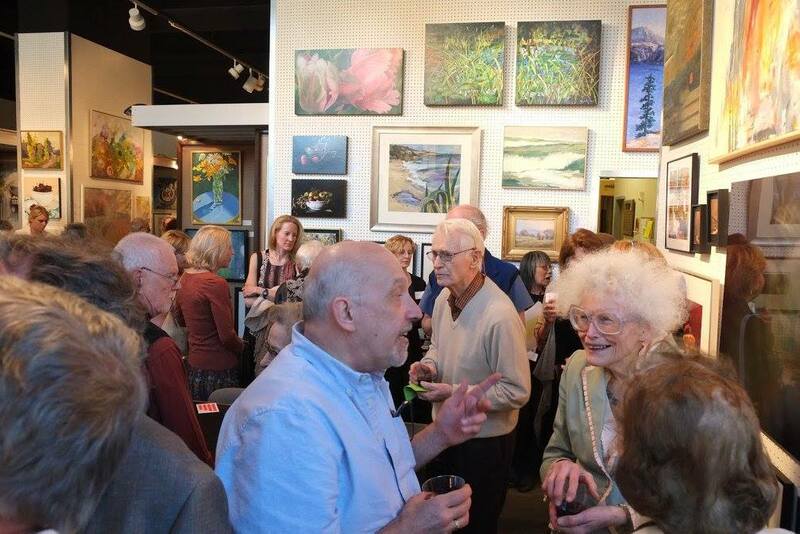 From art openings to artist demos, we are a veritable hub for local art. We look forward to sharing our artists with you. Stay tuned!